0 Shopping Bag: Sum 0 rub. Large copper helmet "Premium" (9 l)	29 900 rub. 13 l Copper Still With Gin Basket	40 855 rub. 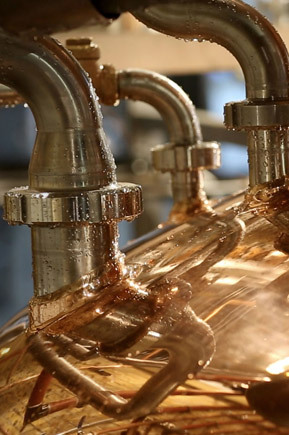 13 l Copper Still Max Cuprum «Madrid Xtra» (CLAMP 1,5")	32 330 rub. Perforated Copper Plate with Down Comer 4" 1 490 rub. Perforated Copper Plate with Down Comer 6"	1 950 rub. Copper Flute Section Tri-Clamp 4"	7 900 rub. Copper cone TRI-CLAMP 2”-1,5”	3 500 rub. Wooden Stand For 18 Bottles	3 675 rub. Copper gin basket (Tri-Clamp 4")	9 900 rub. Bragman Vodka Turbo Yeast	165 rub. 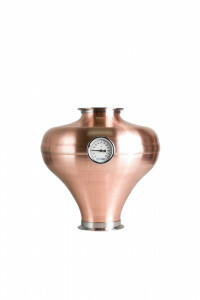 Copper Boiler "Max Cuprum" 13 l	12 900 rub. When you send this form you agree with the private policy.